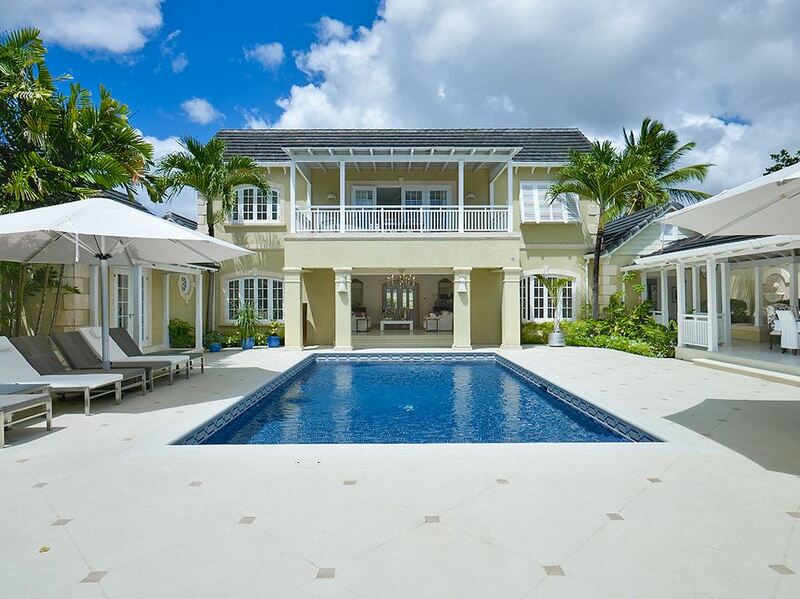 The luxurious Villa Tradewinds is nestled within the exclusive Sandy Lane resort of St James, Barbados. 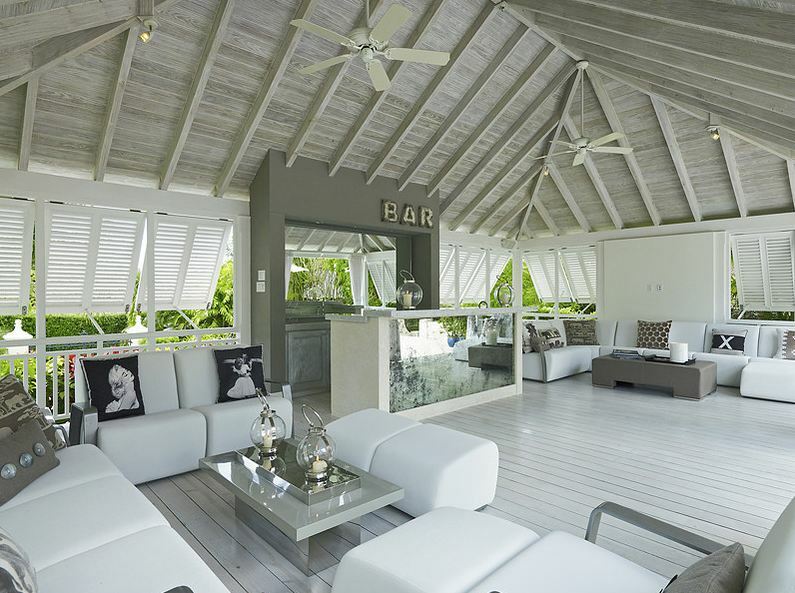 The property exudes elegance and luxury within its spacious and bright interiors. 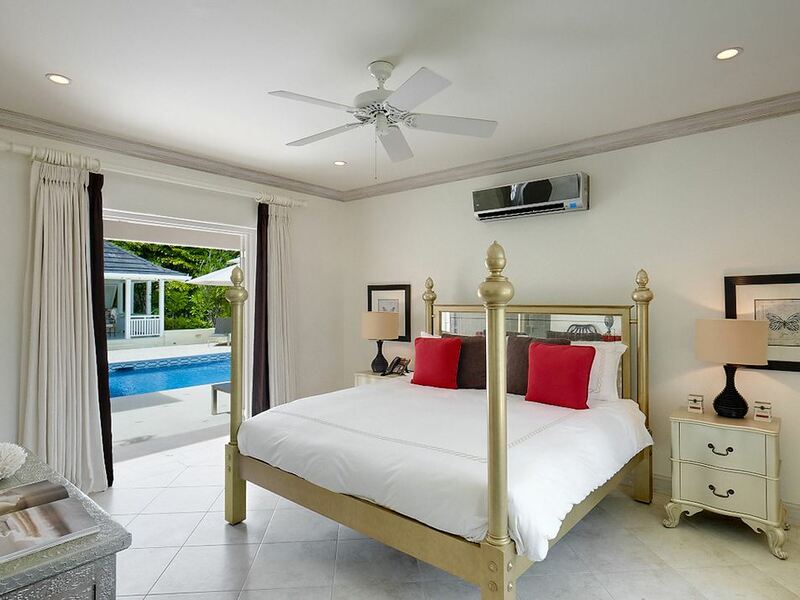 Each room in the property has been tastefully furnished and decorated to an immaculately high standard to ensure all guests feel welcomed and at home with their Barbados property rental. From the great room, guests can enjoy the perfectly framed view of the 5th fairway as well as the swimming pool and decked area. This includes a large gazebo equipped with a bar and a state-of-the-art sound system; ideal for entertaining and parties. The media lounge within the villa has the latest equipment in both audio and visual systems and makes for a great retreat from mid-day sunshine. 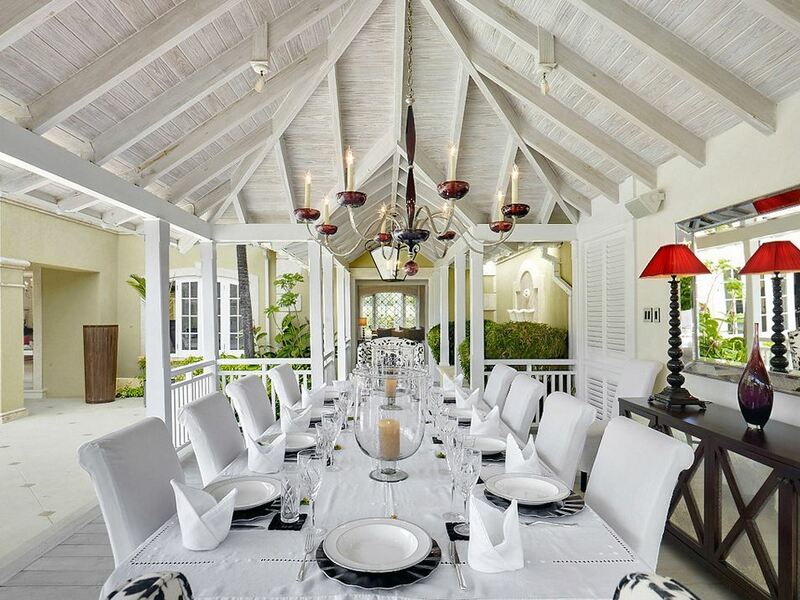 A covered dining area is located by the swimming pool and allows for a shady yet relaxing spot for al-fresco meal times. 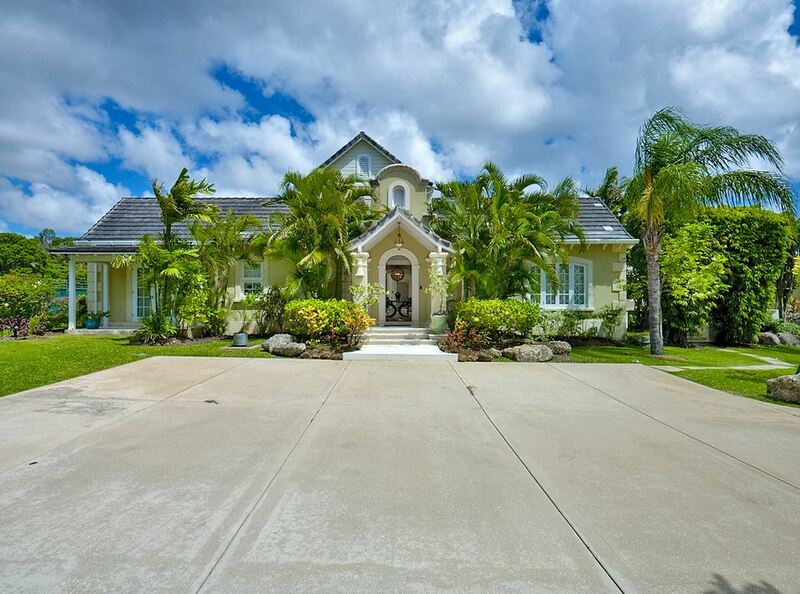 There is a total of 5 bedrooms with Villa Tradewinds. 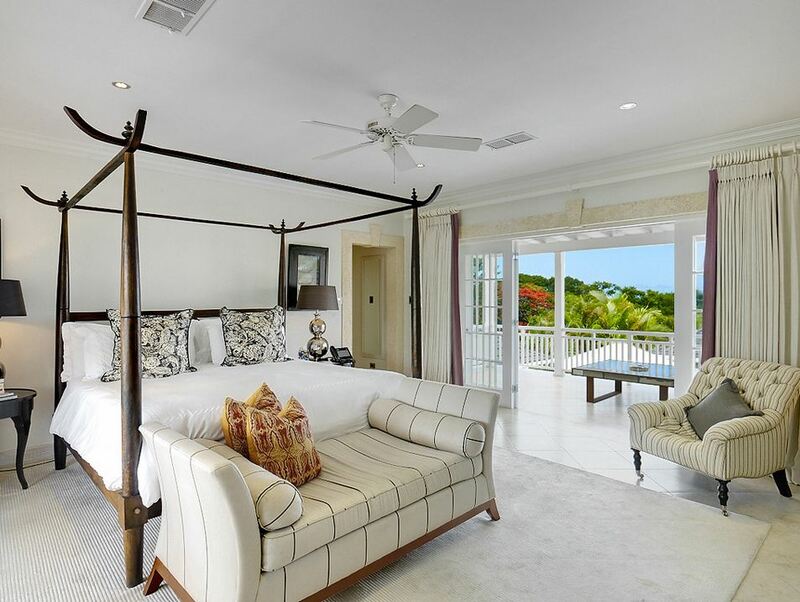 The master suite spans the entirety of the top floor of the property and faces out to the east and west; further emphasised with spacious balconies to view the golf course and the Caribbean Sea. 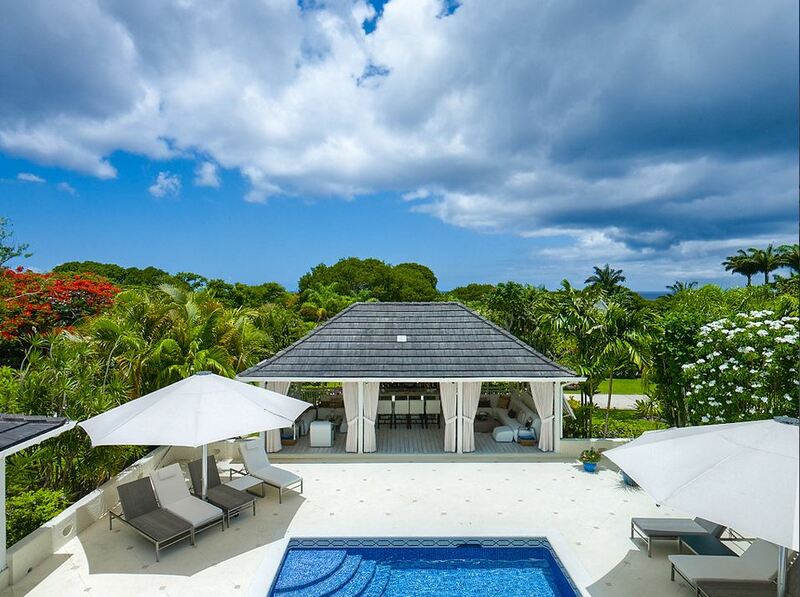 Guests of Villa Tradewinds have access to the fabulous Sandy Lane Beach Facility with a private cabana and access to the world-famous golf course and tennis courts.